These stories were usually published in various annuals and periodicals, however no original publication details are known. It is possible that they were written purely for this collection. A Spanish military plane is found upside down in a field and the pilot has disappeared. Kerman Zand is smuggling Attar of roses and absolute alcohol in order to make expensive perfume. A policeman is murdered in a robbery and Biggles chases the getaway plane all the way to Scotland. Pug Donovan is caught after Bertie makes a trip to Paris and finds an illegal way to return home. A mysterious body has fallen from an aircraft and Biggles finds out who he is and what happened. A young girl is mysteriously killed and the only clue is a box of chocolates lying near her body. An Interpol operation leads to Ginger seeing a suspicious boat and finding gold in lobster pots. A boy writes to the Air Police after seeing an item drop from a plane. It turns out to be a body. 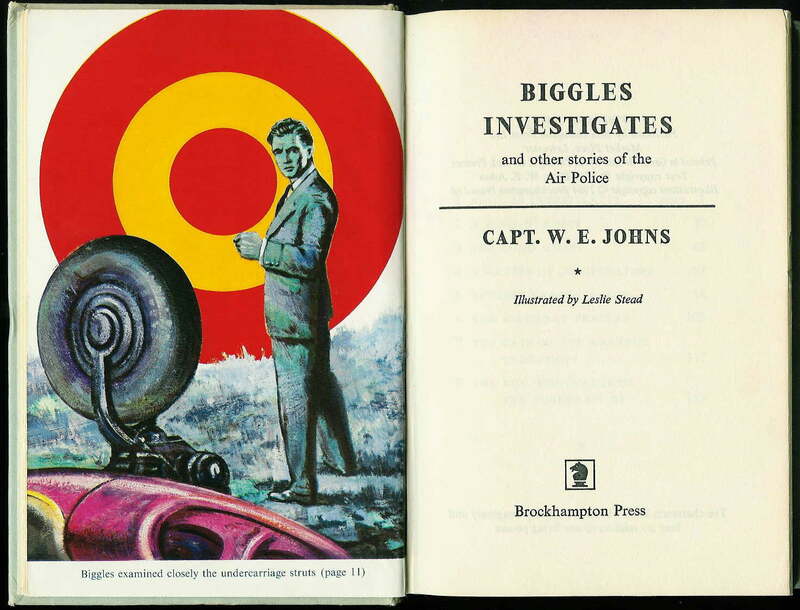 The dust cover of the book shows Biggles flying an aeroplane with a close up of his eyes. With the exception of the frontispiece, there are no story illustrations in this book.